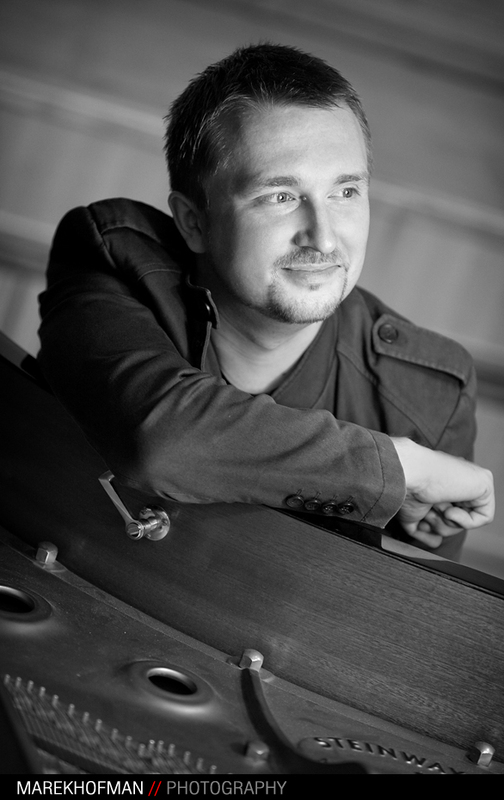 Bartłomiej Wezner (piano) was born in 1981 in Nysa (Poland). In 2006 he graduated from Feliks Nowowiejski Academy of Music with degree of Master of Music in instrumental music under supervision of prof. Ewa Poblocka. At the same time he studied harpsichord in prof. Urszula Bartkiewicz’s class. In 2013 he obtained the title of Doctor of Arts in Music. He successfully accomplishes his goals in various fields of piano music. As a chamber musician together with violinist Joanna Kreft – as the Herbert Duo – are laureates of The Violin and Piano Masterclasses in Lausanne leaded by Pierre Amoyale and Anne Queffelec, also received 3rd prize in 16th Premio Trio di Trieste International Chamber Music Competition in Trieste and special award in Beethoven Chamber Music Competition in Luslawice (all in 2015). Since 2013 he is playing in Hebert Piano Trio with Joanna Kreft/violin and Dominik Plocinski/cello. Together with BMF Piano Trio he won St Martin’s Chamber Music Competition in London (2011) and 19th International Chamber Music Competition in Thessaloniki (2010, Greece). In 2013 BMF Piano Trio take part in 61st ARD Musikwettbewerb in Munich (Germany). With mezzo-soprano Agata Schmidt, he was Laureate of 50th International Vocal Competition ‘s-Hertogenbosch – Lied Duo Category (2014, Netherlands) and won 3rd prize of the 17th Bacewicz International Chamber Music Competition in Lodz (2010, Poland). He worked as an official pianist of the Master Classes with Maestra Teresa Zylis – Gara (2008), prof. Helena Lazarska and Zofia Kilanowicz (2012) and Maestro Thomas Hampson (2014). He was also competition accompanist of 14th, 15th and 16th Ada Sari International Vocal Artistry Competition (Nowy Sacz, Poland, 2011, 2013, 2015) as well as 9th International Stanislaw Moniuszko Vocal Competition in Warsaw (2016). As a soloist he was awarded with Jury Prize during 7th I. J. Paderewski International Piano Competition in Bydgoszcz (2004) and an award during 15th L. Janaček International Piano Competition in Brno (2008, Czech Republic). As a cembalo player he is busy giving concerts with illo tempore old music group and Capella Bydgostiensis Chamber Orchestra. He performed in Poland, Belgium, Czech Republic, Sweden, Greece, Italy, Serbia and Montenegro, Switzerland, Great Britain and the United States. As a soloist, he has performed with the Capella Bydgostiensis, Torun Symphony Orchestra, Lviv National Chamber Orchestra, Bydgoszcz Philharmonics and Opole Philharmonic Orchestra. In 2013 CdAccord company release a BMF Piano Trio debut Cd – Landscape of Memories with piano trios by Andrzej and Roxanna Panufnik, Zygmunt Mycielski, Hanna Kulenty and Zbigniew Bargielski.